Although racehorses are natural athletes famed for their speed and stamina, they must be well looked after before, during and after races in order to achieve their full potential. Without carefully managed water intake and a specific diet containing the requisite fuel for strategic energy release, a racehorse will not be able to remain at the top of his or her game. 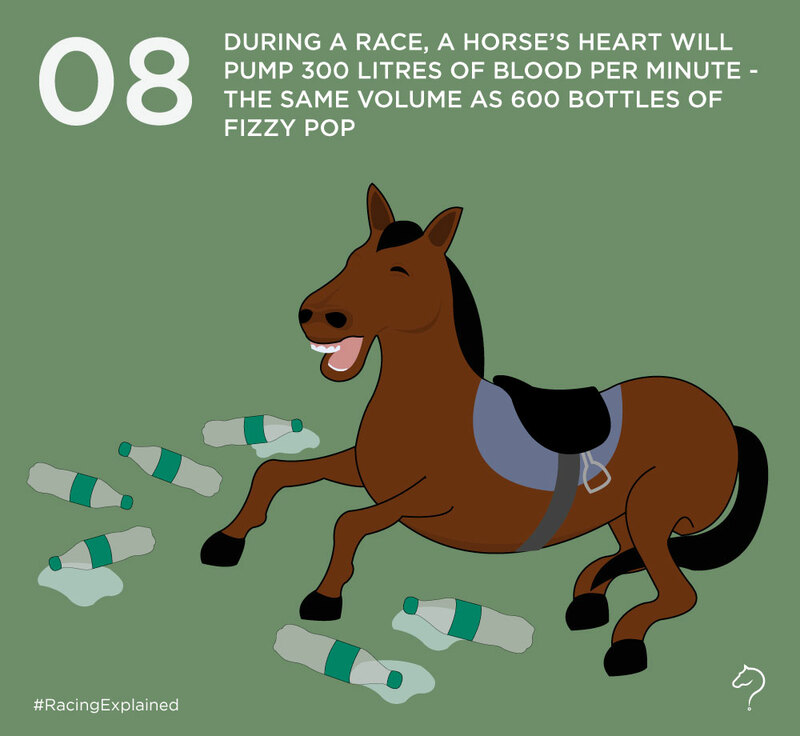 How much water does a racehorse need? The average body of a mature horse is 65 per cent water, which translates to a whopping 85 gallons. In order to maintain hydration, an inactive horse in a cool environment must take in between seven and 10 gallons of water every day, while in a warmer environment like on racedays, a horse may need to drink up to 20 gallons per day to stay adequately hydrated. However, when a horse exercises and sweats, it loses fluid. During a race, a horse can lose up to eight gallons of water – representing more than 10 per cent of its water reserves. So don’t be surprised to see them drinking after a race! Like humans, horses cool themselves through the process of sweating. 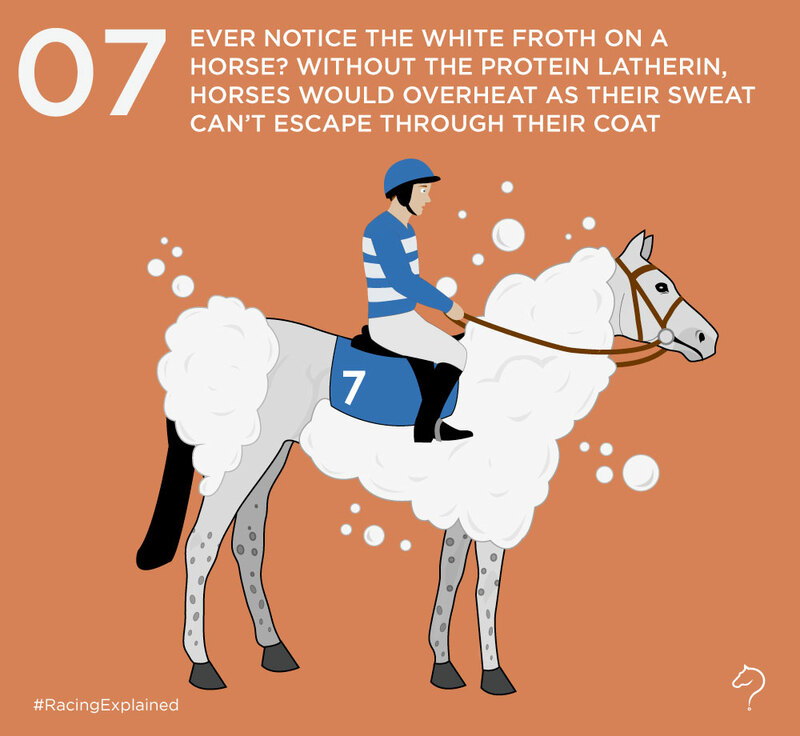 The protein latherin allows a horse’s sweat to escape through its coat, helping it to lower the overall body temperature to stay comfortable. What kind of diet does a racehorse need? In order to keep a racehorse performing at its best and looking fit and healthy, it must be fed the right combination of foods. The foundation of a racehorse’s diet should be high-quality forage – it holds water and electrolytes well and is highly nutritional. The horse’s feed must also contain soluble carbohydrates that will provide him or her with the energy that is needed for glycogen replacement. Glycogen is used by racehorses to reach high speeds while training and exercising, so a diet high in grains and other glycogen-rich foods means the horse will avoid premature fatigue in the middle of a race. In order to maximise the performance of a racehorse, it is important to decrease training intensity in the three-to-four days leading up to an important race. This will ensure that the horse’s stores of glycogen are not compromised or diminished and that it has all the energy it needs to perform at its best.